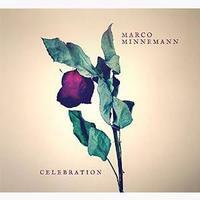 I always enjoy Marco Minnemann’s work. I think one of the things I like so much is that it seems to be able to go just about anywhere musically. It’s often on the weirder side, but yet can be quite accessible. The one thing it pretty much always conveys, though, is a sense of musical adventure. 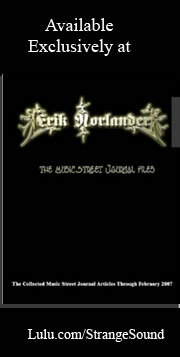 This new disc is a fine example of all the things I like about Minnemann. The contrast between the new thrash metal sounds that start this (and run along beneath much of it) and the rather jazzy prog elements that create bizarre melody lines over the top is what makes this piece work so well. It’s part psychedlia, part RIO, part metal, part jazz and all cool. The section later is odd, but also compelling with some hints of space rock. The title track has vocals and is more of a “song” construction. It seems to combine some of the elements of the previous tune with things like Tool and King’s X. It’s more mainstream, but far from standard pop or rock. This is still quite bizarre. I can make out some Frank Zappa at times on this, too. Far more mainstream than anything to this point, there is a lot of psychedelia built into this. Still, it has left turns. There are things like Tool along with things like King Crimson here. It’s one of my favorite pieces of the disc, really. This instrumental is a weird percussion meets space rock trip out. It’s got a great driving rhythm section along with some cool melodic elements. This is one of the strongest pieces here, really. Drums lead into a jam that’s part Zappa, part technical metal and part fusion. This is instrumental, fast paced and very cool. Percussion starts this. The sound at the beginning is very much technical metal. Then it shifts to a frantic, electronic prog vibe. Vocals come in over the top of that. As this continues to evolve, I’m again heavily reminded of Frank Zappa. There are a number of shifts and changes here. Starting with picked guitar, this is mainstream, melodic and quite dreamy. It’s one of the catchiest things here. It’s also one of my favorites. Combine modern King Crimson with King’s X and you might be close to the sound of this. It has a real rocking groove to it. There are bits of world music and psychedlia included here. This instrumental gets into Zappa-like territory for a while, too. This extended jam also works into more pure fusion for a time. Sparse and spacey at the start, there is a real free form dreamy element to this piece. It definitely has a lot of psychedelia built into it. As freeform and unusual as this is, it’s also quite pretty. It’s intricate in the early sections. It gets heavier later, though. That section is quite intense and leans toward metallic. References to King Crimson are again valid there. Pretty exploratory piano serves as the backdrop for female vocals. After the vocal segment the cut builds out a bit before ending before the minute and a half mark. Some rocking melodic guitar is the order of business at the start. It has a real jazzy vibe. The cut gets some mellow infused into the mix. Still, this is very much a fusion style jam. There’s an excursion into full jazz later. There are sections later that feel more like prog meets jam band. It drops to near silence before the most rocking segment of the piece emerges. This number is spacey, atmospheric and compelling. There is a bit of a spooky vibe, and some great melodies emerge. It gets rather Crimson-like near the end. Somehow I’m reminded of Rush just a bit on this composition at times. There are definitely a lot of fusion elements at play, too. It gets more electronic later and threatens to go into metal territory as this continues with a rather weird, but very cool, arrangement. Here’s an English version of the earlier song. Whereas that earlier version was a short piano and voice number, this has a full arrangement. It’s melodic and rather soaring. It’s a pretty and powerful piece of music that really works well. It is also a little longer. Here we are taken into very strange territory. There are odd bits of sound with strange bits of voices in the mix. From there it moves out into a rather hard rock oriented jam that’s more like King’s X turned psychedelic. After the vocal section we’re taken into a complex and rather crazed instrumental section. Then it deposits back into the song proper from there. As this starts it feels almost like a blues rock tune. It works to more proggy, fusion-like territory from there, though. It’s quite a tasty and tasteful instrumental as it makes its way through a number of changes. This is very heavy and fast paced. It’s definitely got a lot of that Tool like vibe going for it. Heavy and yet melodic, this is very much in a fusion type style. This is quite an effective piece.